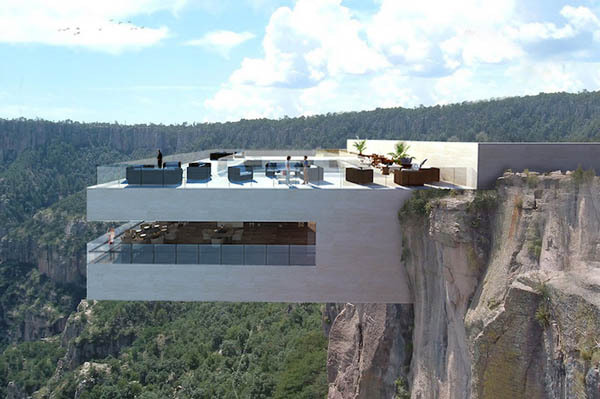 “Copper Canyon Cocktail Bar” is a concept design created by the studio Tall Arquitectos who want to build a restaurant sit cliff-side and overlook the Basaseachic Falls of Mexico. 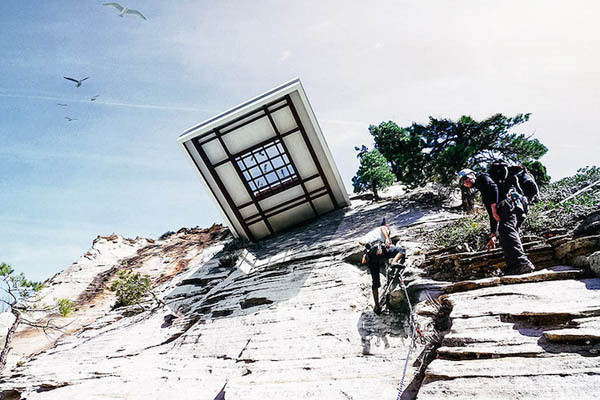 According to the studio, the bar comprises two levels, with the first floor featuring a bar and dining area where tables are positioned near and around the perimeter to ensure unforgettable views during the meal. 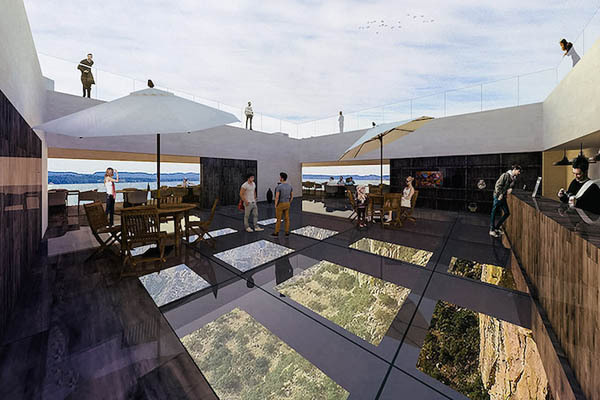 It is worth mentioning, part of its flooring is glass, which allows guests to see valley below. 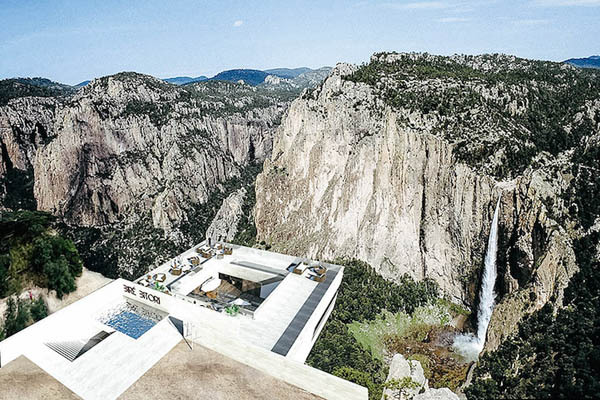 The second level – observation deck is more relaxed and features tables, chairs, couches and a pool. Food, drinks, swimming and spectular view, what can be more relaxing and enjoying than that.